Welcome to VidBlasterX, the most powerful and versatile live video production software. Capture, stream & broadcast everything from web casts and presentations to live sports events & television shows. 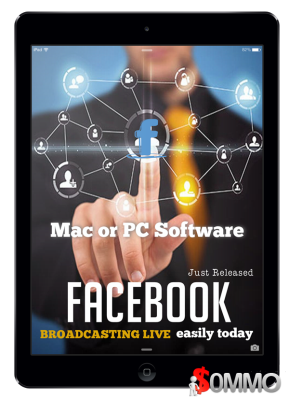 This is the best livecasting software made for Facebook & YouTube. Ultra simple to use, it supports scheduling, one-click live mode. Can Cast pre-recorded videos as live to Facebook Personal feed, Pages & even Groups. It can also livecast to YouTube! Live Streaming on Facebook Just Got Easier, Faster and Better And We'll Show You How!! You can now use your PC or Mac to Live Stream on Facebook. No longer are you chained to your mobile device for Live Streaming! You'll have the latest training on how to use a FREE software that NO ONE else is talking about! !